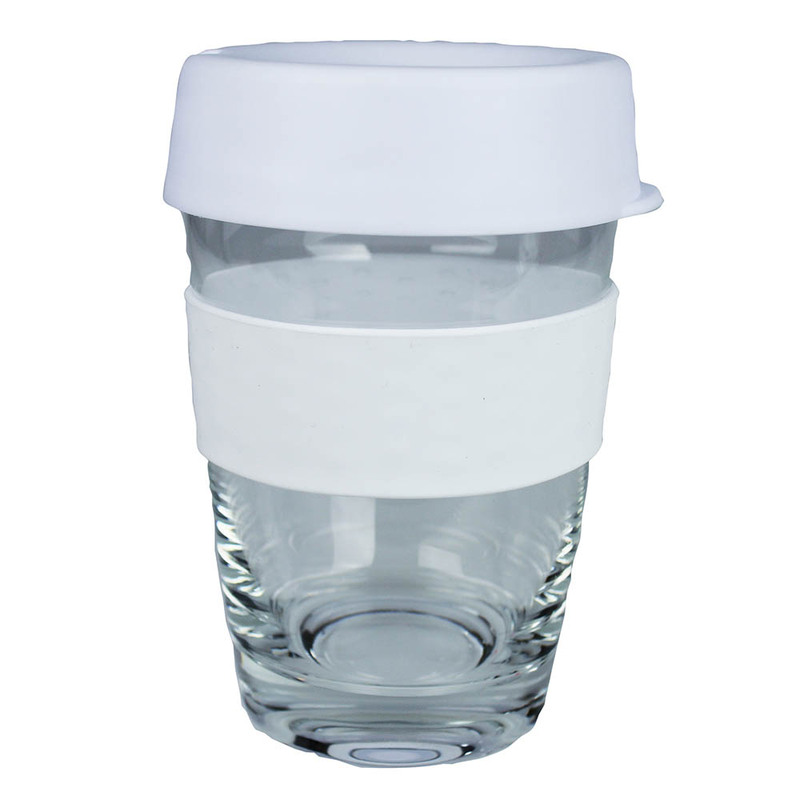 Glass provides a clean, premium look in the Carry Cup style. 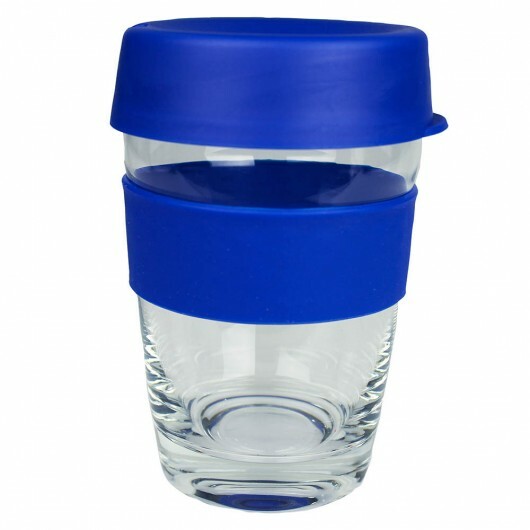 Made from premium glass the Carry Cup has a simple but elegant design that will house your favourite hot drinks and help the planet at the same time. 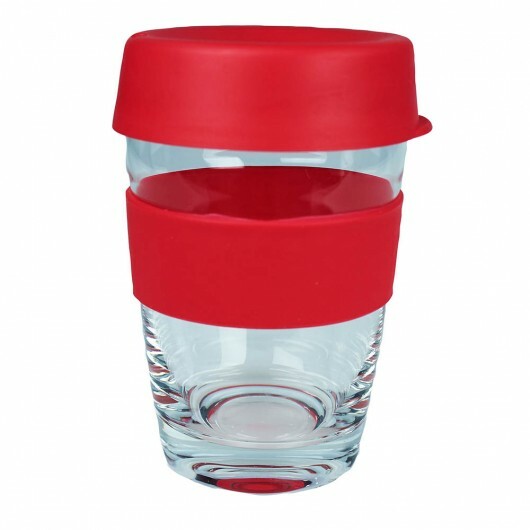 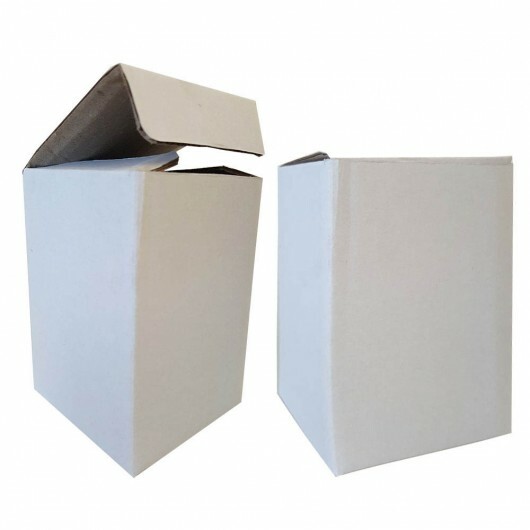 Your logo can be printed on the cup or on the band - for the best solution for your promotion ask us and get tailored advice. 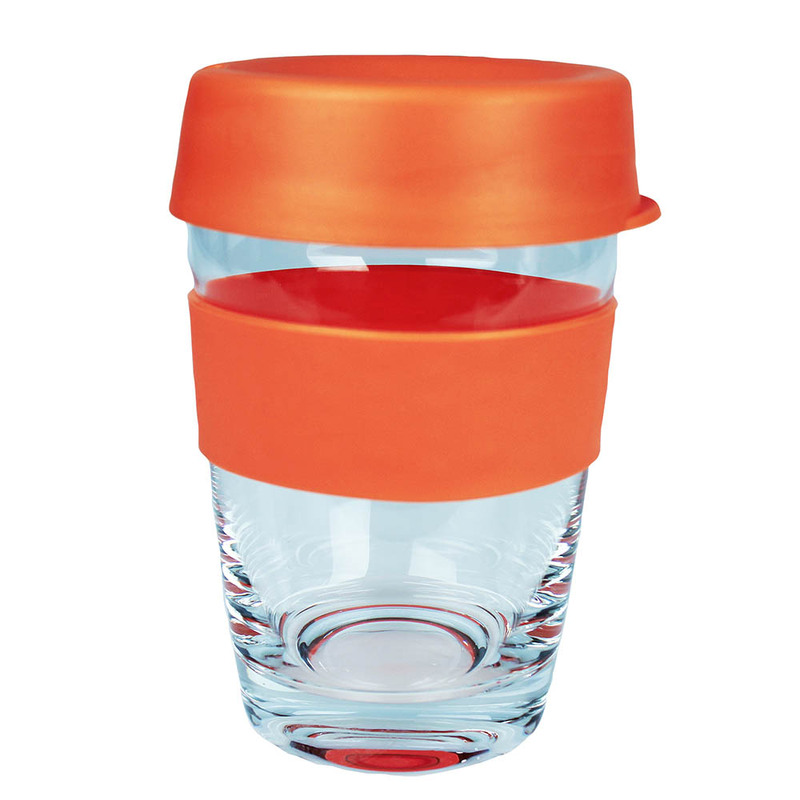 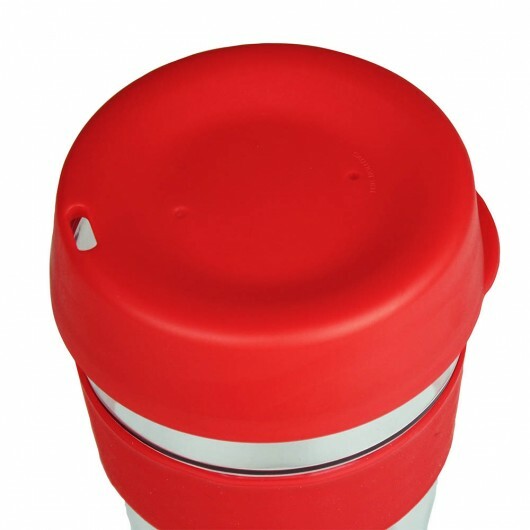 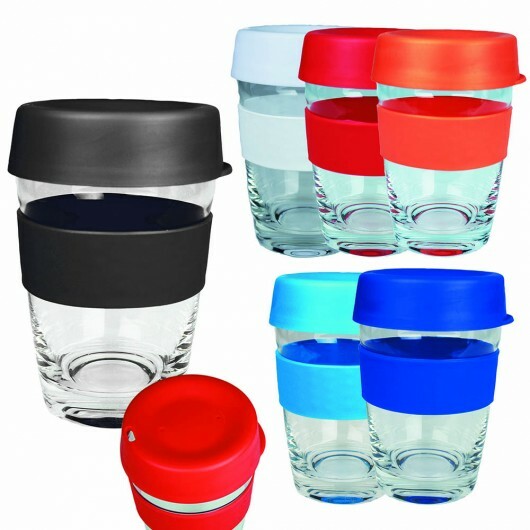 The cups have a 340mL capacity and are available with 6 colours of lids/bands - they can also be Mix n Matched allowing for up to 36 colour combinations.